North Carolina has the largest Child Passenger Safety Technician program in the country. There is no magic number – the correct seat is based on a number of factors, including age, weight, height, and maturity. Find guidelines for choosing the right seat from Buckle Up NC. Want some help? Find a certified Child Passenger Safety Technician near you. According to North Carolina law, all children under age 16 must ride in a safety belt or a child safety seat (Buckle Up NC). 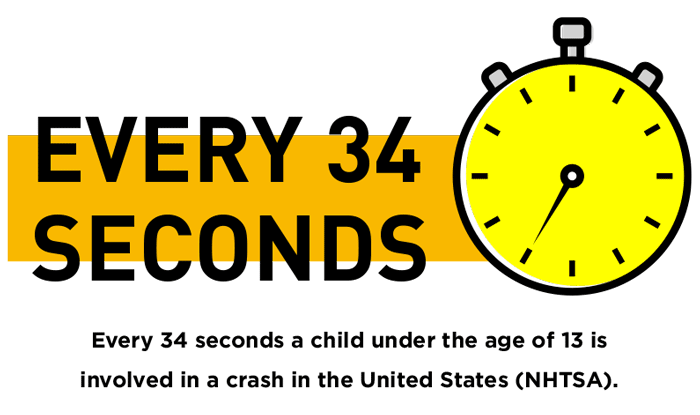 In 2013, an estimated 263 children under the age of 5 were saved by child safety seats in the United States (NHTSA). 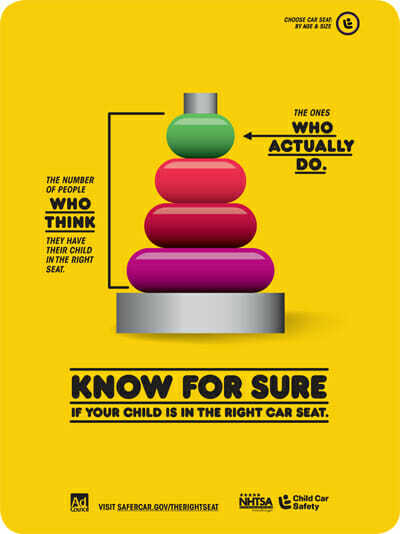 Child safety seats reduce the risk of fatal injury by 71 percent for infants and by 54 percent for toddlers (NHTSA). Don’t buy a used car seat unless you know its history. Damaged seats, recalled seats, or seats that have been involved in a crash may not protect your child the same way. Always place your child’s car seat in the back row, away from active air bags. If there is no back seat, deactivate air bags. If possible, install the car seat in the center back seat to minimize risk of injury during a crash. Try the Buckle Up game – when you get into a vehicle with your child, “race” to see who can put on their seat belt faster. This game establishes a habit for your child to always buckle up when entering a vehicle. Be a model. Wear your seat belt every ride. Your children will copy your behavior. When you are driving, avoid distractions such as eating, changing music, or using a handheld phone. Talk with your children about how to speak up when they feel unsafe in a car with an adult. Have your child practice what they can say if they notice an adult is texting and driving, not wearing a seatbelt, etc. Want some help? Find a certified Child Passenger Safety Technician near you!